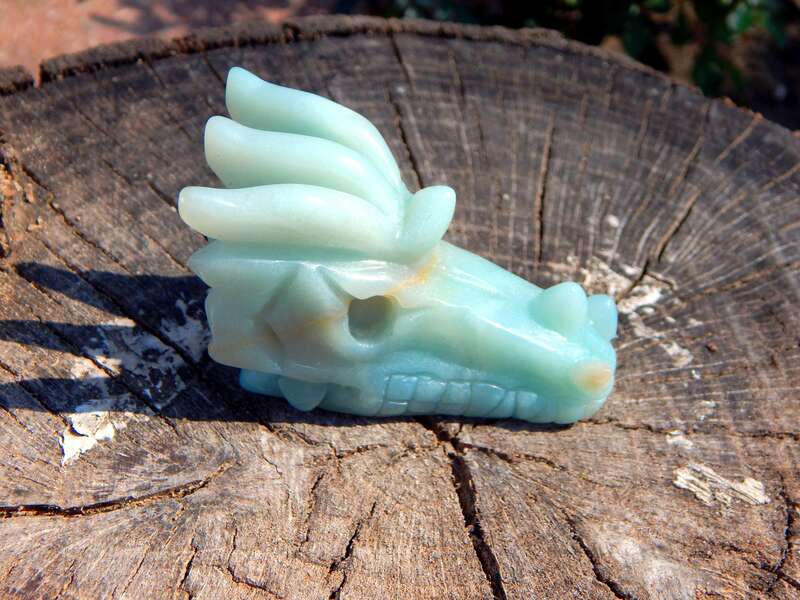 An enchanting 100% natural Amazonite gemstone carved Dragon skull. He is named Zephyr, and he has a beautiful pale green coloration. He measures 2.5' inches long and 1.5' inches tall from base to horns, and weighs 65 grams. 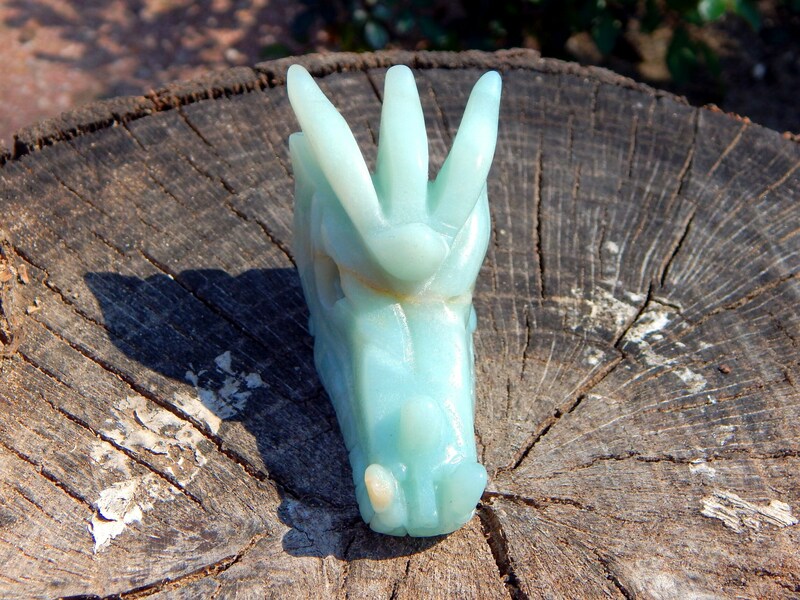 Called the Stone of Courage and the Stone of Truth, Amazonite empowers one to search the self and discover one’s own truths and integrity, and to move beyond fear of judgment or confrontation with others to live in alignment with those beliefs and values. It provides the freedom to express one’s thoughts and feelings, and to set strong and clear boundaries, both internally as self-discipline, and externally on what one is willing to experience or in defining personal space. 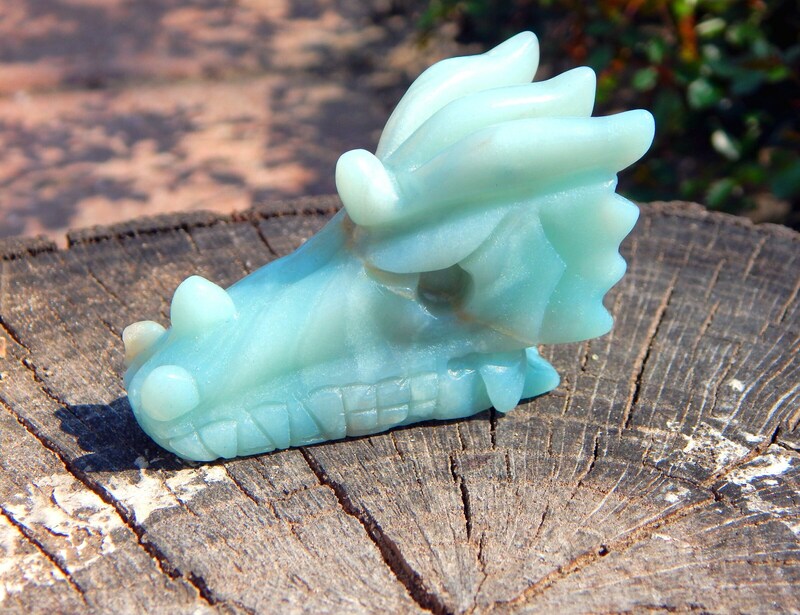 As a metaphysical healer, Amazonite soothes the chakras and aligns the physical body to the etheric. It is particularly rejuvenating to the Heart and Throat Chakras, enhancing loving communication on all levels. It balances one’s masculine/feminine energies as well as many aspects of the personality. It awakens compassion for others by allowing one to perceive both sides of a problem and accepting differing points of view. 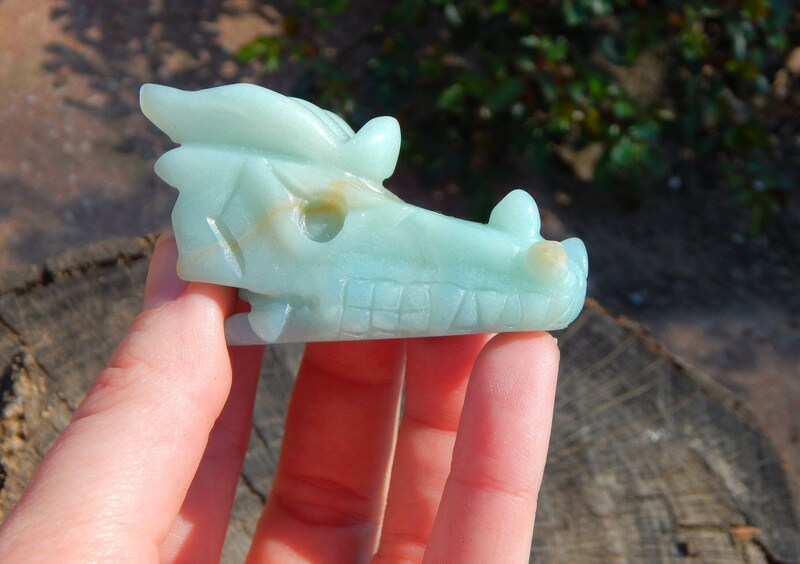 Amazonite was also worn as jewelry in pre-Columbian South and Central America, and was believed to have adorned the shields of the semi-mythical Amazonians, a formidable tribe of female warriors thought to live in the 10th century B.C. 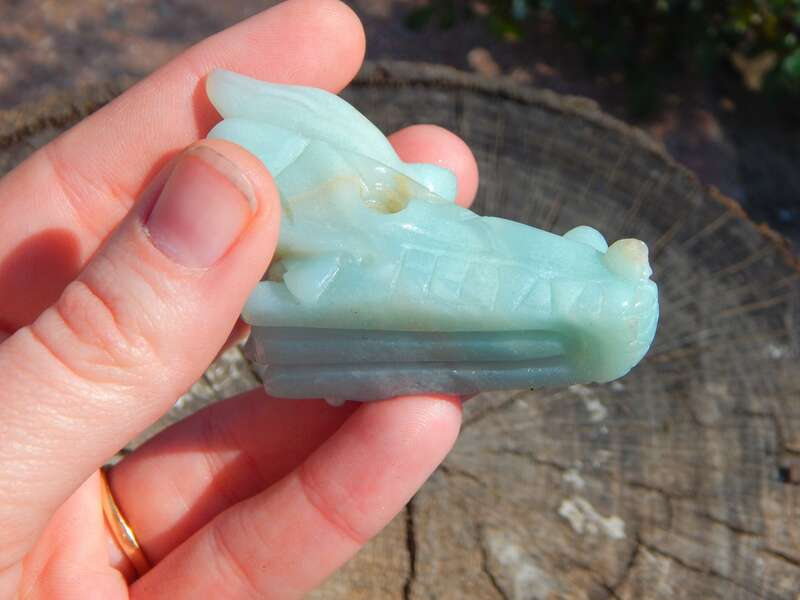 They also used Amazonite medicinally to heal wounds and illnesses of all kinds. The conquistadors prized it for adornment and its ability to be carved into cult objects. Amazonite is named for the Amazon River in Brazil and the lush jungle region surrounding it where the original “green stones” were discovered. Whether these stones were what we know today as Amazonite is uncertain, as principal deposits are not currently found in the basin area of this great river.